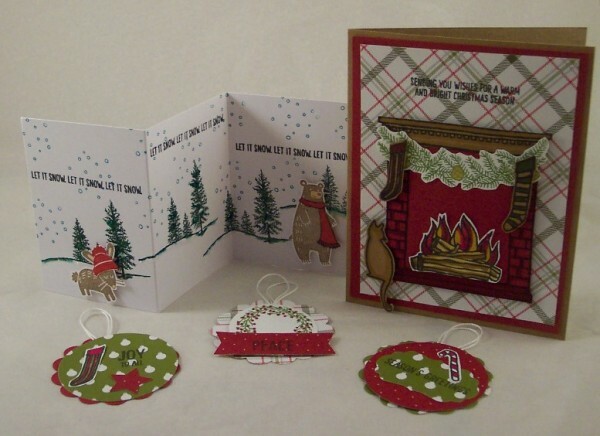 I am back with one last look at some of the new products available from Stampin Up in their new Holiday Mini Catalog. If you missed my first review click here to check it out and my second review can be found here. 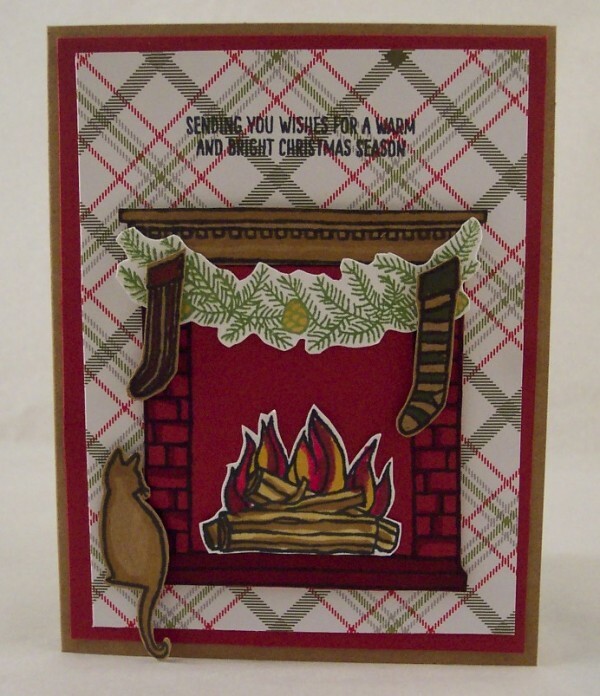 For my first card I used the Festive Fireplace stamp set, which has lots of wonderful accessories to decorate a holiday fireplace and make some cute scenes. I colored everything with markers and used paper from the Merry Moments 6″x 6″ paper pack for the background. Next I made a small accordion card using the words and winter trees from the Happy Scenes stamp set repeatedly across the card in green ink. 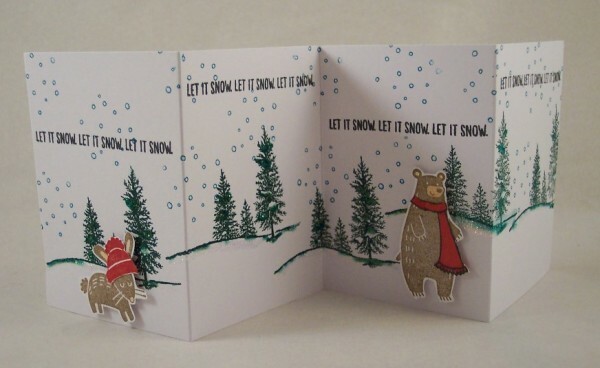 I stamped the bear and bunny from the Thankful Forest Friends in brown and added a scarf and hat to each, in red from the Talented Trio stamp set (found in the regular Stampin’ Up catalog). I accented the trees and ground with Dazzling Details glitter glue for a nice sparkle. 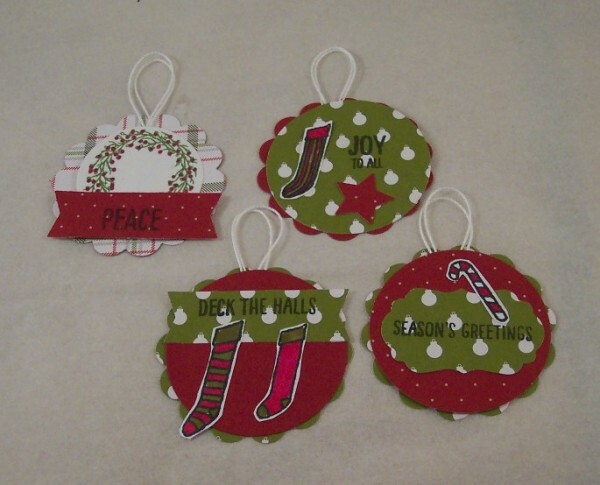 Lastly I made a group of tags using papers from Merry Moments 6″x 6″ paper pack with stamps from the Festive Fireplace set and words from the Happy Scenes set. The die cut shapes are from the Circle Card Thinlits dies and Circle Collection Framelits dies.